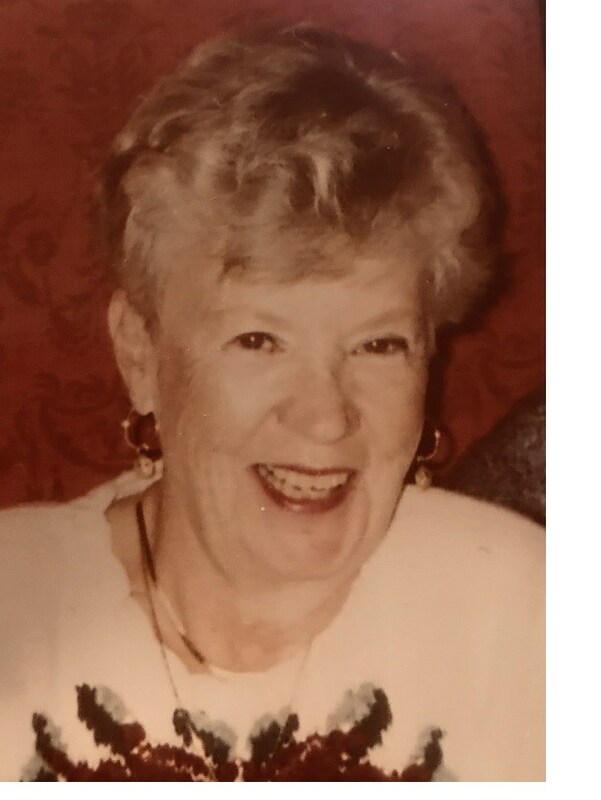 Lorraine Eileen ?Lorry" Wickland Scherger, 88, has gone to the eternal golf course in the sky. She was a native of Pittsburgh, PA, daughter of the late Carl Werner and Anna Otillia Schroeder Wickland. Lorry was a strong person with integrity. Her passion for playing golf was a big part of her life (seven holes in one). She was so proud of her five granddaughters and their accomplishments. Loved by so many friends and family. A great wife, mother and grandmother to all her family who she loved and cherished throughout her life. God bless her. She will be truly missed. Please join us Saturday, December 8, 2018 to celebrate the life of Lorry. She was a member of Wesley United Methodist Church and had lived in Johnson City since 2006. In addition to her parents, she was preceded in death by her husband of nearly 50 years, Paul M. Scherger (1999). They married in 1949 and spent their lives in Pittsburgh until they moved to Hilton Head Island, SC in 1976. In addition to golf, she loved to read and was an excellent seamstress and proud member of the Red Hat Society. She also was preceded by a sister, Virginia Wickland Scott. Survivors include, children: Mark Scherger (Sharen) of Deltona, FL, Susan Gonzalez (Freddy) of Johnson City, Gregory Scherger (Tracy) of Gouldsboro, PA and Christopher Scherger (Kelly) of Ridgeland, SC; granddaughters, Lindsey Scherger Gray (Ian); Danielle Gonzalez Enguita (James), Morgan Scherger Davis (Matt), Caitie Scherger, Allison Scherger; step grandchildren, Freddy Gonzalez (Monica) and Christina Gonzalez Bordelon (Clint); great grandchildren, Connor Gray (6), Garrett Gray (19 months), Sophia Enguita (4) and Hunter Enguita (19 months); step great grandchildren, Copeland Bennett, Caleb Gonzalez, Olivia Gonzalez, Benjamin Cerda and Isabella Cerda; brother-in-law, Sony Scherger; Sister-in-law, Joan Scherger Bruns (Richard); special nephews, Bill and Roy Scott; special niece, Sharon Scherger Soxman and other nieces and nephews, Bruce, Carol and Elaine; caretakers, Judy Street, Iris Chumbley, Trula Mahala, Monica Smith, Diane Dugger, Patsy Clark, Carolyn Roberts, Becky Sadler, Melissa Monk and Maryann Carter. Special thanks to the beautiful, blessed and wonderful staff at the Dominion and the caring staff at Amedisys Hospice. A very special thanks to Dr. Michael Grosserode and Cindy Jones. The family will receive friends on Saturday, December 8, 2018 from 2:00 pm until 4:00 pm in the Dogwood Chapel of the Morris-Baker Funeral Home. At 4:00 pm a Celebration of Life service will be conducted under the direction of Rev. Ken Lytton and Rev. Gerald Casson. Memorials may be made in the form of contributions to: The Alzhehimers Society, 478 Craighead St. Ste. 200, Nashville, TN 37204 or the Johnson City Public Library, 100 W. Millard St., Johnson City, TN 37604. We will miss you Aunt Lorraine! Prayers to the family and friends! We are so sorry for your loss. Lorry was such a great friend and neighbor. Our sympathy and prayers to all of Lorry’s family.